Happy Memorial Day! I hope you all get some time today to relax with your family and friends and remember those who have made the ultimate sacrifice for our freedom. The recipe I'm reviewing today would be quick to add to your picnic menu this afternoon: Stuffed Mini Peppers. They're so simple and tasty. Image from Your Amazing Places. Please respect the creator and pin from the original site! 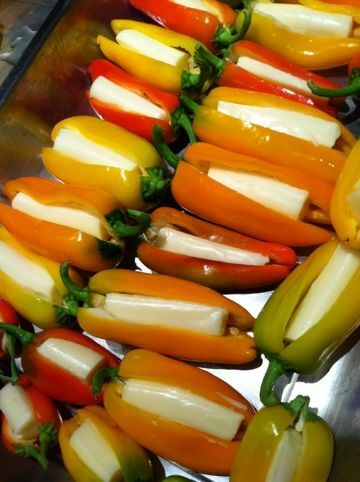 These little guys are so quick; just stuff the peppers with cheese and broil for 10 minutes. I actually used fresh herbed mozzarella to make this, and highly recommend it! I think any kind of cheese would be tasty, so try it with your favorites. Final Rating: 3.5 out of 5 stars. Looking for another fabulous appetizer? 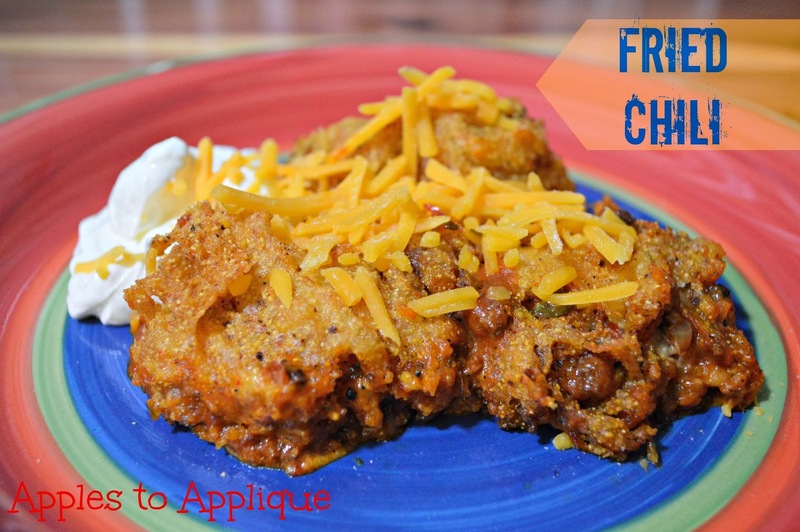 How about Fried Chili for something new and different? These really do look easy and delicious! And the fried chili?! Oh my. Thank you for these ideas!! They are super easy and tasty! The fried chili is not quick and easy, but is also delicious. Those peppers are right up my alley. Quick and easy :). My son would love them. They're so good! These peppers have just a little sweetness to them; I've been surprised by how many kids I know who like them. We fix poppers lots of ways, This one is pretty simple and great for some color. Yes, I love the bright colors of these peppers! They look so pretty and appetizing. awesome! I haven't tried this recipe yet, but I would definitely make some...thanks for sharing the recipe! Looks yummy by the way. They are yummy, and quick to put together! I've never really gotten into bell peppers, but my wife loves them and grows her own in the garden. She puts them in her morning omelettes! I like bell peppers in eggs, too! These mini peppers are surprisingly sweet, which makes them great as an appetizer. This is so quick and easy that you really can't go wrong! Stuffed peppers are so yummy! Great recipes and easy to make as well. Thanks for sharing. Those mini peppers look so good! I need to try those next. They are really yummy! Enjoy!